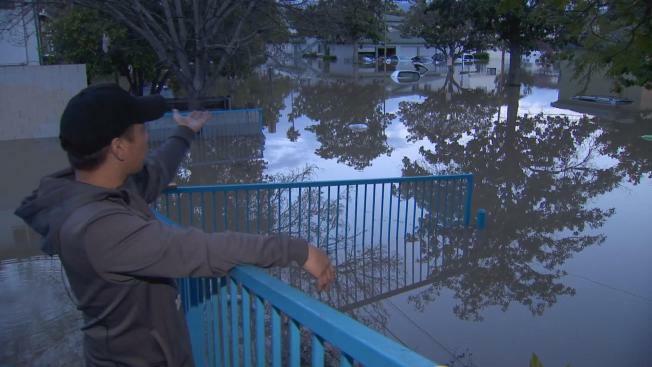 A rising Coyote Creek led to new evacuations in San Jose late Tuesday. More than 500 units at mobile home parks in the Berryessa neighborhood were forced to evacuate the area. The evacuations added to hundreds of others ordered earlier in the day throughout the city due runoff from nearby Anderson Reservoir. "It's crazy," said Donna Bravo, who had to evacuate from the South Bay Mobile Home Park. "We might lose everything." Bravo and her faily took minutes to pack up and leave the mobile home park. 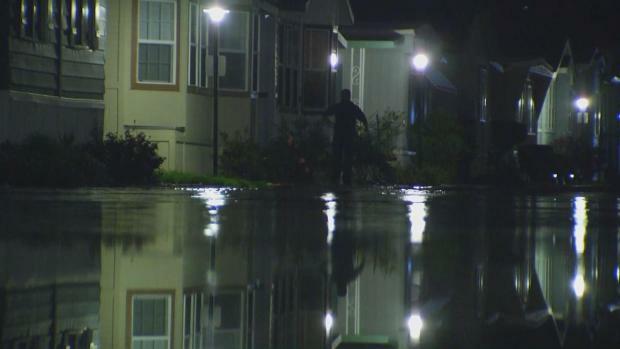 About 200 families were told to leave the South Bay Mobile Home Park due to flooding. A rising Coyote Creek led to new evacuations in San Jose late Tuesday. More than 500 units at mobile home parks in the Berryessa neighborhood were forced to evacuate the area. Ian Cull reports. Crews from the city and county branched out to warn residents of the rising and contaminated flood waters. Residents from two mobile home parks next door to South Bay Mobile Home Park, Golden Wheel and Riverbend, also evacuated the area. A family who did not leave in time had to be rescued by boat. Flooding at the mobile home parks occurred when water gushed through a wall. Authorities were concerned the wall would not hold overnight, which would significantly flood homes. "It's a scary moment because all of our stuff, if it does happen, it's all gone," Bravo said.